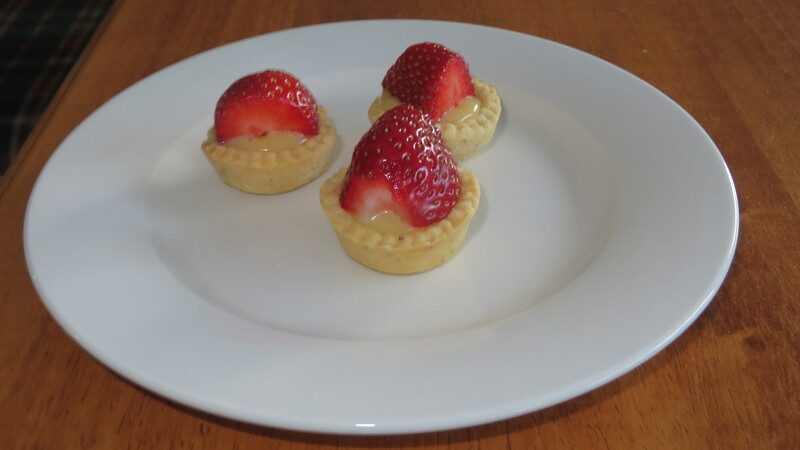 The most decadent and luscious dessert for …anytime…and so easy to make; pastry made in the food processor, filling a simple heat the cream and melt the white chocolate…pour into cold pastry cases, decorate with strawberries – my hint – buy strawberries that are on the smallish side – these will then sit perfectly on your individual tarts. I made these as a special dessert to celebrate my daughter’s birthday. They were a huge success and I know these will now become known as my “speciality” and requested often. Can one woman tame the last frontier? Grimstad, North Dakota. A place people used to be from – but were never headed to – has struck oil. As pipelines snake across the prairie, oil flows out and men and money flow in. And with them, comes crime. North Dakota’s new oil capital has a serious law and order problem and newly qualified detective Cassie Dewell has just been appointed its deputy sheriff. Twelve-year-old Kyle Westergaard is one of Grimstad’s paperboys. Kyle has been written off as the ‘slow’ kid, but he has dreams deeper than anyone can imagine – he wants to get out of town, take care of his alcoholic mother, and give them a better life. While delivering newspapers, he witnesses a car accident and now has money and a lot of white powder in his possession. With the temperature dropping to 30 degress below and a gang war heating up, Cassie fears she might be in over her head. The key to it all will come in the most unlikely form: an undersized boy on a bike who keeps showing up where he doesn’t belong. Let me start by stating I am a huge CJ Box fan – his Joe Pickett series is fantastic and I have read several of his standalones and one frightfully disturbing book I found so intense I could not read more than the first few chapters, (In Three Weeks to Say Goodbye, so powerful was the presence of bullying in this book I could not read it – my loss), so to say I like CJ Box’s work is an understatement. What do I love about his writing? Everything – his writing flows across the page, his command of realistic dialogue and his ability to paint the setting and locations of his books is amazing. The characters become old friends – as you read on you adopt the main characters as your own friends – people you know, trust and admire. The narrative – always interesting; contemporary environmental issues take the main stage with intrigue and murder/mystery. 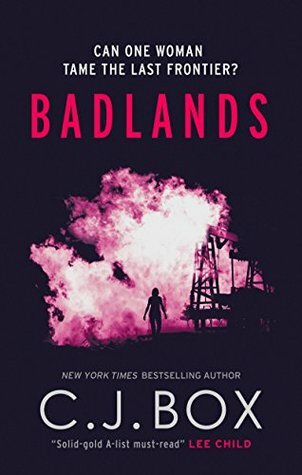 And Badlands has all those great characteristics and then some; an impressive, strong, female protagonist, situations that are diabolical with the most evil of villains who treat people as if mere carcasses, to be chopped and mutilated at their whim and the added factor of suspected corruption in the police force makes the tension palpable. The young boy Kyle adds an innocence and vulnerability to the mix. Another great read from CJ Box! thought he knew what evil was. His hunt for her will take him across three states, and force him to question everything he believes about evil and justice. Before I begin my review her is a little bit of background on the award winning author Alexandra Sokoloff (information I paid scant attention to before I started reading…which as it turned out was fortuitous as it didn’t affect my reaction to the book, I started reading with no real expectations except that this would most probably be a great read – and I was not disappointed) and it allowed me to have several uninhibited email discussions with the author on an equal footing. Now I have discovered more about the author and have read the first book, I am in awe of this talented writer! Ok so now you have read the intro, you know the author is award winning, has released many books and is highly regarded in the crime fiction writing world (and Alexandra is presenting a writing Masterclass at Bloody Scotland this September 2015 for those lucky enough to be able to attend), even if you didn’t know anything about this author all is immediately revealed by the time you have read…oh let me see… about 3 pages. Immediately the standard of the writing leaps out at you – you nod to yourself and go YES! And from that point on no one gets any sense or conversation out of you until you have finished reading this mesmerising, engaging, suspense filled book. But be warned just because you have finished reading episode one in this series doesn’t mean your world will start functioning again – it won’t! When I finished reading this book I discovered I was on something that I can only explain as “a book high”. I was literally skipping around the room, my head light and somehow not quite connected to my body, I was excited and happy and could not begin to put words into coherent thoughts (which is why it has taken me so long to write this review). I felt like I did the last time I have had a hospital procedure and had sedation – when I skipped and laughed and giggled my way out of the hospital 🙂 (Too much happy gas I think) No wonder the hospital warns you not to make any important decisions, or sign any legal documents or drive after the procedure! I cannot believe a book made me feel this same way. When sensible thought did return I had an epiphany. I will share that astounding thought with you; all book reviewing is relative, relative to what you read yesterday, the week before, the time before that. How can an individual really measure the worth of a book when so much relates to the experience of the books recently read? Let me explain my thoughts; these months I have read some amazing books across a few genres, (no names will be mentioned as I do not wish to offend anyone) these books I rated 5 stars – the highest accolade and I was enthusiastic and excited by the read and shared my thoughts with you. Then I read The Huntress Moon. If the others I previously ranked as 5 stars – what was this book I had in front of me? 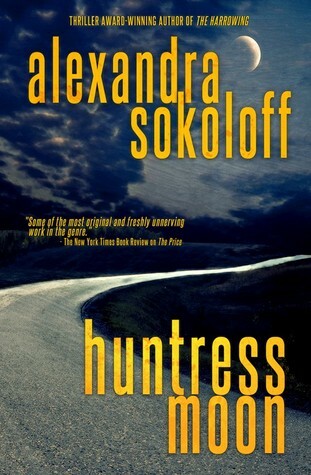 I regarded The Huntress Moon much more highly than anything I have read …since I can’t remember when. The professionalism of the writing shines. The characterisations are wonderful – no one is black or white, the characters feel real, three dimensional; the narrative has two strong protagonists – two very likeable protagonists even though one we quickly discover is a murderer. Other minor characters are equally interesting. The narrative is fast paced, plenty of twists and turns and action and outcomes that are credible. This is a most engaging and satisfying read. Have I convinced you? I hope so – if your passion is crime fiction – get a hold of a copy of a copy this book today. And then buy the rest of the series. Books 1 and 2, Huntress Moon and Blood Moon, were re-released in January and February of this year. The series has just been optioned for TV in the US. I decided to try my hand at writing quite late in life: before that I had always been a musician, of sorts, and a songwriter. I first met my wife, who started out as a jazz singer in Melbourne, at a quite strange arts/music/poetry venue in Perth in 1967. After a spell in Melbourne we returned to Perth in ’69 and started a band, Gemini, and later that year we put out a record that was a big hit throughout WA. The song was called Sunshine River, written by Will Taylor, a folkie friend of ours, and for a short time we were pop royalty in Perth. It didn’t last; our next record stiffed and we went back to being pop commoners. We spent the next few decades in London, Perth and Melbourne, and have ended up in a peaceful and remote part of East Gippsland in Victoria. We don’t play gigs very often these days, the amps get heavier as you get older, and some years ago I decided to write a novel instead. ‘Write about what you know,’ they say, so I did. 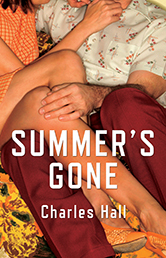 The result is my first novel, Summer’s Gone, set in the Australian music scene of the sixties. I hitch-hiked from Perth to Melbourne in 1967 when I was 19. With a girl. My first car was a very old Austen A40 wagon, purchased in Melbourne for $29 in 1968. Its name was Roger. My wife and I tried to drive back to Perth in Roger in 1969. With our little’un. We got as far as Port Pirie. The owner of the Port Pirie caravan park gave us $20 for Roger. He planned to paint it up like a Noddy car for the kiddies’ playground. We finally got to Perth by train (them) and hitching lifts (me). We were going to call our band Genesis. (Pretentious nitwits? Us?) But Clarion Records boss Martin Clarke called to say a new band in Britain had that name, and they were going to be huge. (He was right.) So we became Gemini, for no very good reason. I didn’t go to uni until I was 32. Summer’s Gone was launched in February 2015, three days after I turned 67. Your life so far sounds like it has been an adventure! Thanks for sharing Charles and good luck with your new writing career. Australian Contemporary Fiction at its best! 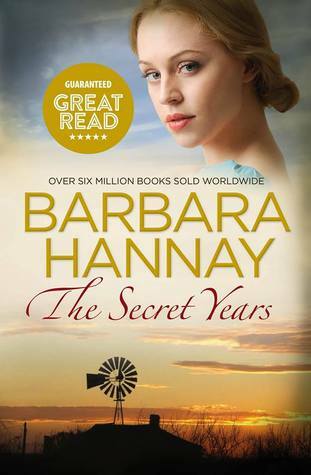 Barbara Hannay writes beautiful visuals of rural and remote Australia, in particular the thriving military town that is Townsville with its beautiful Strand and bustling city scapes to far north Queensland with its picturesque cattle properties, where “Big mobs of silvery Braham cattle grazed, and telegraph poles tracked the straight line of the Flinders Highway into the shimmering distance till they looked like mere wisps of smoke.”(p.348); such beautiful visuals forever remind me of Queensland. The dual storylines – of George and Harrys’ early life during and after WW11 and Lucy’s current life, add many more destinations to the mix – we have London in the time of air raids and blackouts and the rugged Cornwall coast when Lucy visits England researching her family’s history, we have war zones past and present – Harry fought in many places including Tobruk, Kokoda and New Britain (an island of Papua New Guinea) and we have Lucy and Simon’s service in Afghanistan; so much information, travel and history is packed into this book. Lots of travel, a fast moving and engaging narrative that reflects on times past and present , on families and choices, cultures and wars and the relationships that shape us and bind us to the land and characters you will warm to, this is a remarkable book. And did I mention the romance? Nick Myatt sets new standards for the male love interest in rural romances. One short, beautiful summer of love, and then a tragedy – and the Vietnam War – will drive four friends apart. But nothing is straightforward about what has come between them. And nothing is clear, really, until years later, when Nick goes back to where it all happened and trawls through his memory to put the pieces together. This reads as an intimate, personal account of life, a coming of age story set in tumultuous times of the late 60’s early 70’s; written in the first person, it feels like the protagonist Nick/Nicko is talking directly to you, sharing his experiences, his personal growth, his relationship ups and downs… and his political thoughts. Some small part of me identifies very strongly with this era (I missed being part of what became affectionately known as the psychedelic /free love/hippy era by a mere decade or so), I was a teenager challenging my own world as this comets tail was in its death throes. But I had aunts and uncles that grew up in this time and I witnessed some of their “freedoms” enviously. As a teenager with limited experience of the world I thought they were so lucky. I love/d the music, the fashion (the wide, wide legged flairs) peace signs on jeans, necklaces, bracelets, denim was king, bold blue eyeshadows and big eyes, big hair, fun…passion, the beginnings of feminism and the rise of equal opportunity. I was too naïve to appreciate that all this “freedom” came with a cost – the threat of conscription was very real, I found it incredulous that conscientious objectors were thrown in jail, no freedom of expression, personal rights here. The sexual revolution came at a high cost too – for some women the cost of not having freely available, stigma free contraception meant experiencing the backyard abortionists – some did not survive this experience. Attitudes and laws had not caught up with this new culture of freedom the 70’s rushed to embrace. And yet it had an appeal, a romance, an image of youth and freedom that I found intoxicating. Hall’s protagonists’ cleverly lead us through these tumultuous times, showing all sides of this revolution. Hall’s’ characters are very likable – Nick/Nicko, Helen, Alison and Uncle Clem all demonstrate those wonderful characteristics we as Australians love to identify with; the battlers, the free spirits, the larrikins, the hard workers…people who made their own opportunities…even the “bad guy” Mitch has elements of likeableness that you can’t ignore – he volunteered to serve his country – Australians are big on patriotism, he came back wounded and experiencing Post Traumatic Shock – Australians pride themselves on their empathy. Great casting here. The settings and locations were very real to me. I recognised some of the flats, the shared houses, the op shop furniture and barely going first cars. I am sure that aside from the huge hike in rents some of these places haven’t changed very much at all. The trips across the Nullarbor – a few towns have grown, a few have disappeared but the journey, the excitement of making that crossing to a brave new world is still exhilarating (especially if you live in Perth and travel eastwards rather than the other way). There is so much in the book to enjoy. There is so much nostalgia; I loved this book with its simple, easy to read style that talks to you like you are a best friend. The narrative is complex yet innocently beguiling at the same time. It is a coming of age and a personal story, an Australian story, spoken in the colloquial; laconic, blokey yet peppered with insight and self-awareness. And it is a tragedy – on some many levels. Read this and take the journey back to a different time, read with your eyes wide open. The Margaret River Press Short Story Competition is open for entries with a closing date of October 14, 2015. The competition is open to authors of any age and nationality. Winning and shortlisted stories will be published in both print and eBook format. First Prize sponsored by Margaret River Press: $500 cash prize, $500 contribution towards an airfare to attend the launch of the collection and 3 nights accommodation (provided by Margaret River Press) and a two week residency in Margaret River to be taken up at any time. Expenses during this period and transportation to and from Margaret River will have to be met by the winner. Second Prize sponsored by Margaret River Press: $250 in cash and two week residency in Margaret River River to be taken up at any time. Expenses during this period and transportation to and from Margaret River will have to be met by the winner. All monies received from entry fees go towards fees for judges, publishing fees and administrative expenses. Note: should the winner be from Western Australia then an airfare to attend the Sydney or Melbourne launch will form part of the prize. Entries open Monday, August 3rd and close Friday, October 9th 2015. All submissions received after the above date must be postmarked October 9th, 2015. Please send three (3) copies of your story to: Margaret River Press, PO Box 47, Witchcliffe, 6286. WE WILL NOT ACCEPT ELECTRONIC COPIES. Entry Fee: AUD $12 per entry and $10 for additional entries. Fees must be paid via direct deposit or by cheque made out to Margaret River Press. Overseas cheques will not be accepted. An entry cover page (see details below) must accompany each story. Please do not staple your entry details to your story. Entry Limit: There is no entry limit but a fee per entry applies. Word Count: There is no minimum but a maximum of 3000 words applies. Format: Page numbers must be shown on the bottom right hand corner of each page of the story,the title of the story is to appear on the top left hand corner of each page. The writer’s name is not to be shown on any of the pages of the story. Stories must be typed on A4 paper, with 1.5 spacing and in 12pt Times New Roman typeface. Entrants must submit three printed copies of each story. Entries will not be returned. If your story is longlisted you will be required to send an electronic copy. Copyright remains with the writer. Margaret River Press has first option to print the work in a publication of selected work from the competition. Writers also consent to their work being published electronically in whole or in part by Margaret River Press. Publication may also occur in a physical display or through the local media. Entries must be an original story by the submitting writer and not previously published, shortlisted or a prizewinner in any other competition. and enter details on Join Our Newsletter. Story selection: The judges’ decision is final. No correspondence or discussion will be entered into. Judges are not compelled to award a prize in any category. Condition of Award: A condition of entry is that the general category winner (if resident in Australia) and the Southwest winner be available to participate in events in the promotion of the publication. Editing: The editor of the collection reserves the right to undertake editing of the works selected in consultation with the writer. The collection will be edited by Laurie Steed. Laurie is the Patricia Hackett Prize winning author of You Belong Here, and lives in Perth, Western Australia. 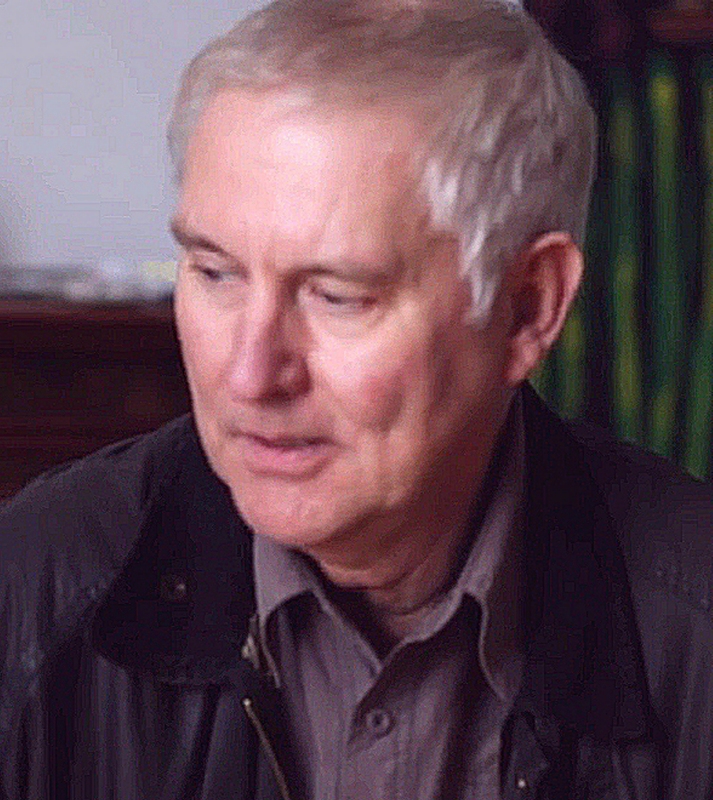 His work has been broadcast on BBC Radio 4 and published in Best Australian Stories, The Age, Meanjin, Westerly, Island, The Sleepers Almanac and elsewhere. He teaches Advanced Fiction for Writers Victoria, is a member of the Editorial Board of Margaret River Press, and in 2014 he became the first Australian writer granted fellowship in the history of the Sozopol Fiction Seminars. Withdrawal of an entry from the competition is permitted upon notification in writing to Margaret River Press. Entry fees will not be refunded. Eligibility: Staff and representatives of Margaret River Press are not eligible to enter. Announcement of winners: Due to the large number of entries only shortlisted writers and winners will be informed. The longlist will be completed by end of January 2016. The shortlist and winners will be selected and informed by the end of February 2016. There is no entry form provided but an A4 page containing the entrant’s details must be sent with each entry. Please provide a typed sheet with following details as set out below. Fees must be paid by direct deposit or cheque. Date of direct deposit and name of account holder. Or please find cheque attached. Eligible for SW Writer Prize (please provide location). I agree to comply with the Conditions of Entry and declare this story to be my original work. All entries to be mailed to: Margaret River Press, PO Box 47, Witchcliffe, WA 6286. Please read the instructions carefully and do not send queries that are covered in the instructions as you will not receive a response.